Last year I began to include team-building and the facilitation of important skills into the introduction week activities for the School’s undergraduate program. This year, we expanded our offerings. At the beginning it’s all about setting the tone. In my welcoming speech I spoke about success and the passion that one needs to be successful, about responsible leadership and about a constant focus on personal improvement. This fit in nicely with the workshop that began directly afterwards. We teamed up with Rock Your Life! Akademie from Munich. They provided a group of young, energetic coaches who worked with students over the course of two days to discover their strengths and find out what motivates and drives them. The students also developed ideas for social entrepreneurship projects. We spend the two days in the Youth Hostel in Nuremberg, a magnificent place that is part of the castle complex. 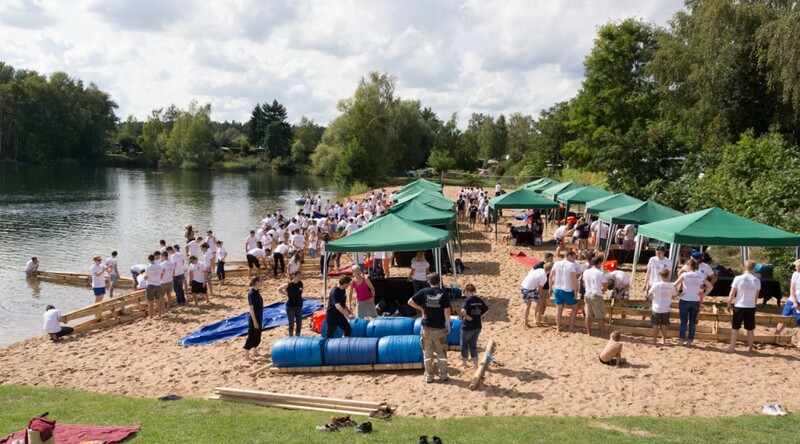 The next day was about action and team-building: the entire cohort spent an afternoon on a lake near Frankfurt. In teams students had to build dragon boats and compete in a race against each other. My colleagues and I built a raft using barrels and planks. It floated really well until some students decided to sink it… This post has been crossposted from Matthias Catón’s personal blog.